Protects data in Teradata databases and big data environments from misuse. By aggregating massive volumes of enterprise data in Teradata database environments, businesses can derive new insights and strategic value from their data. However, the aggregation process also create unforeeen security risks. IBM Guardium for Teradata Encryption helps organizations protect against these types of Teradata risks by providing a quick and efficient way to protect data-at-rest in Teradata environments. IBM Guardium for Teradata Encryption provides granular data protection, enabling the encryption of specific fields and columns in Teradata environments. This solution allows organizations to apply unique keys to different columns. This level of granular control allows administrators to perform operational tasks without having visibility into or access to sensitive data. Environments with big data volumes and complexity require extremely high performance. This solution provides the high levels of performance needed to support processing-intensive big data environments and efficiently scales with the number of Teradata nodes. IBM Guardium for Teradata Encrpyion provides format-preserving encryption capabilities that minimize storage requirements and the disruption that's sometimes associated with encryption. This solution provides UDFs for encryption and decryption that can easily integrate into existing SQL code. Using this solution, Teradata users can set up configurable profiles for submitting encryption and decryption requests, including choosing from standard AES encryption and format-preserving encryption. 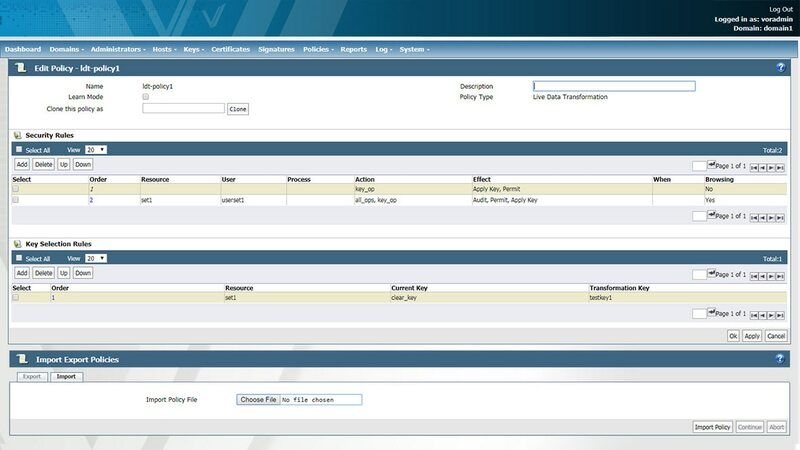 Guardium for Teradata Encryption requires a virtual data security module (DSM) virtual appliance depolyed on a VMWare hypervisor (ESXi Server 5.5 or higher). The DSM virtual appliance may require additional resources based on the number of agents that are being managed. This solution is available on Teradata (v14.0, v14.10, v15.0, v15.10) on SUSE Linux Enterprise Server (SLES) 10 or SLES 11 SP1.